If your kid is obsessed with LEGOs, print out these fun LEGO Valentine cards and your kid will be the star of the classroom. My kids have been obsessed with LEGOs for years. 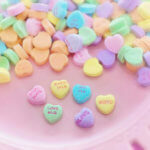 They loved passing out these fun LEGO Valentine Cards to their friends at school.
? I mean, who isn’t, right? Our days are filled with LEGO this and LEGO that, it’s LEGO 24/7 in our house. It was no surprise to me when my kids asked for these LEGO Valentine printable this year. Last year, I made the mistake of creating custom Valentines. 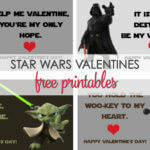 I printed these Star Wars Valentines printables and they were a huge hit. 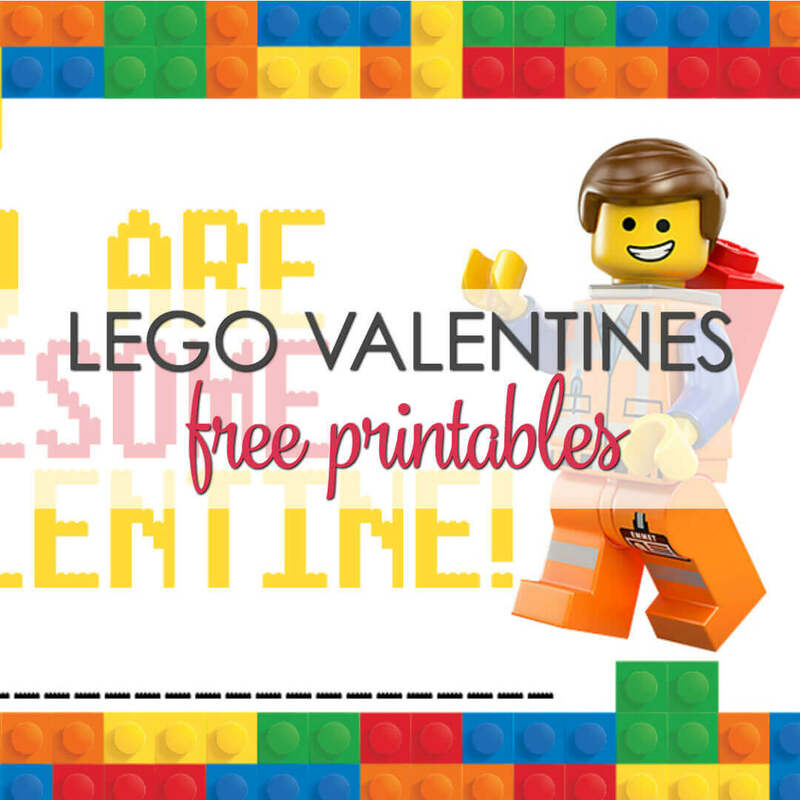 So this year, it was a no brainer to create these LEGO Valentine printables. 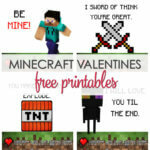 They must have remembered this little over achieving fact because this year, they requested not only LEGO printable Valentine cards, but also these Minecraft Valentines printables. 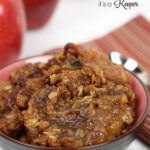 Who am I to say no to my kids? The Valentines were a hit last year and I just know these will be talked about this year. And I am being totally honest, I really enjoy creating these cards. They’re one of my best LEOG Valentine ideas! 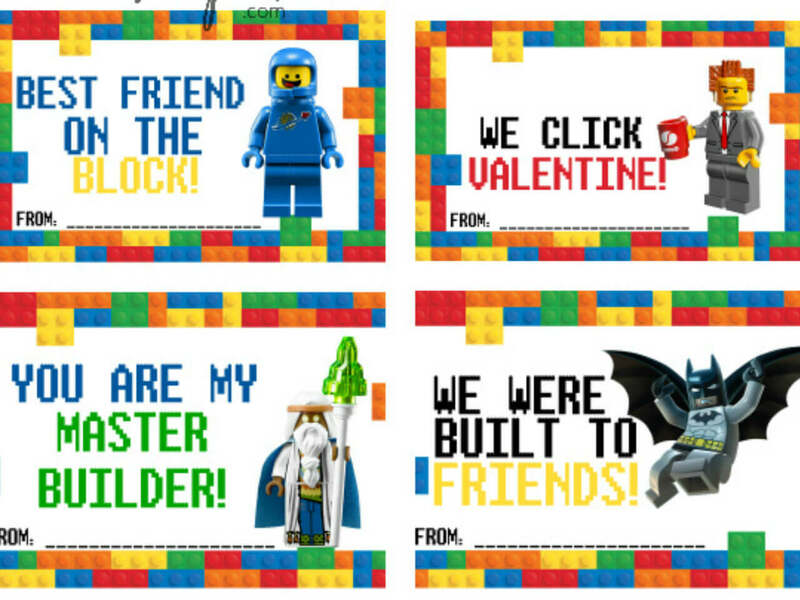 You’ll have adorable LEGO Valentine cards that your children will be excited to hand out to their friends. 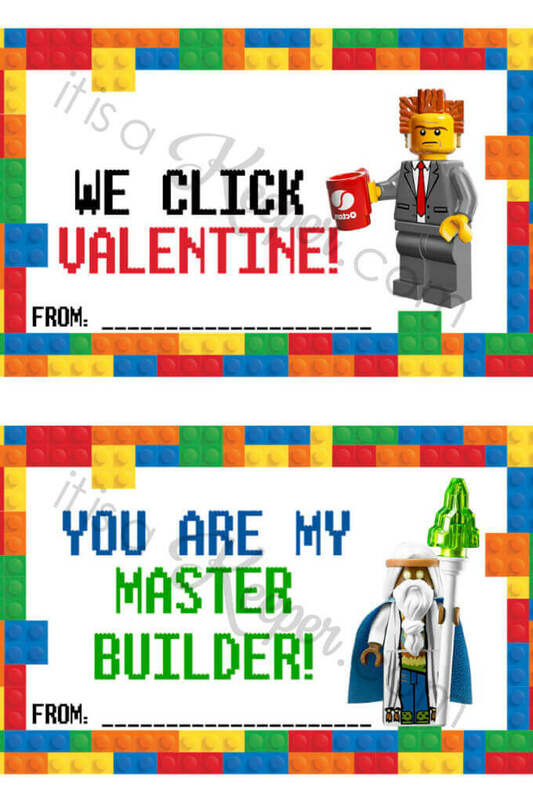 Looking for More LEGO Valentine Ideas? 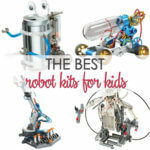 Check out this list of the Best LEGO Gift Ideas. Any LEGO super fan is sure to love the unique items on this gift list. You’re sure to find something special for your LEGO lover that will go perfectly with these LEGO Valentine printables.. I am trying to get to the free printable Lego Valentines and having some trouble. I am hoping that you can put them a PDF format. The downloading process to create a PDF is not working. Hi! love the lego valentines!! Just so you know….the Batman one says “We were built to friends.” I think it’s missing the word “be”. 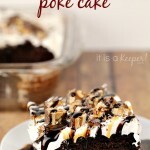 Thanks for the free printable!